With so many different types of toothpaste populating the shelves, it can be difficult to choose the right toothpaste. 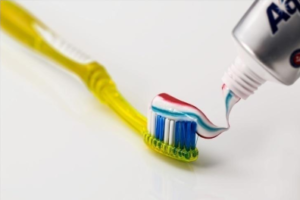 To choose the best toothpaste, you need to determine what your dental needs are. Let’s start with the basics. Dentists recommend using fluoride toothpaste because it helps prevents cavities by strengthening the enamel. Everyone can benefit by using a fluoride toothpaste. Some people suffer from tooth sensitivity. Sensitivity is usually caused by a recession. A recession is where your gum shrinks away from your teeth exposing the root of the tooth. The root of the tooth communicates directly with the nerve of the tooth. When the root is stimulated with hot or cold or tactile sensations, it can send an impulse of pain directly to the nerve to the tooth. The ingredients in sensitivity formula toothpaste block the communication from root to the nerve. If you get relief from a sensitivity formula toothpaste, keep using it. If you stop using it, the ingredients that block the pain sensation will wash out of the root causing sensitivity again. If you tend to build up a lot of tartar, you may want to consider a tartar control toothpaste. Tartar control toothpaste contains ingredients that help prevent the heavy accumulation up of tartar. If you do tend to have a lot of tartar, you may also want to add addition teeth cleaning each year. If you want a whiter, brighter smile, you can try the whitening toothpaste. They contain ingredients that will help keep your teeth white and bright. The American Dental Association (ADA) seal of approval on dental products means that the ADA has approved that product as safe and effective. It’s a great idea to check for the ADA seal when picking out a toothpaste, rinse or other dental product. We hope that you will choose the correct toothpaste for yourself the next time you go shopping. If you need further help in selecting effective toothpaste, you can consult your dentist. If you do not have a dentist, you can visit Fenton Family Dental. Click here to visit our website. Untreated dental diseases eventually lead to tooth loss. The good news is that the advancement of technology has allowed dentists to find a solution to this problem. Dental implants can be a great option to replace missing teeth. Implants are a titanium root that is covered with a cap or crown. They are very natural looking and easy to care for. With proper dental hygiene, they can also last for a very long time. Implants help to restore and create a beautiful smile! If you have dental implants, you will want to take good care of them to make them last longer. Here are 5 simple steps you can follow to keep your dental implants in good shape. Always get a soft-bristled toothbrush. Soft bristles splay out and can clean all the nooks and crannies. To remove all of the plaque in your mouth, it is important to brush for two minutes twice a day. Some people prefer power toothbrushes. Many power brushes have a two-minute timer on them. Simply turn the brush on and keep brushing until it turns off. If you have large spaces between your teeth, you can also use a soft inter-dental brush. Flossing removes plaque and leftover food particles from your teeth. You should floss at least once a day. There are many types of floss available in the market. You can find dental floss that is specially designed for cleaning around dental implants. Your dentist can help you choose the right kind of floss. To make your dental implants last longer, you should avoid smoking. Smoking constricts the blood vessels in the mouth which can prevent healing. After getting a dental implant, it is important that you keep visiting your dentist regularly. Your implant needs to be examined by your dentist to avoid any complications. If you are not taking care of your implant, your dentist will notice that by examining your teeth. They will guide you on how to take good care of your implants. Fenton Family Dental offers the best implant services and after-treatment care. If you are in search of better options for looking after your dental implants, you can visit us. Click here to have a look at our website. To prevent cavities, you must first know what causes cavities. To get a cavity, you need a tooth, some bacteria and finally, sugar (or carbohydrates that turn into sugar). Everyone has bacteria in their mouths. Every 24 hours or so, the bacteria in your mouth clumps together into a sticky white mass that is called plaque. When you consume sugary foods or drinks, the bacteria release acid. That acid starts to breakdown the enamel and can begin to form a cavity. If you eat sugary foods or drinks continuously throughout the day, the teeth will break down much faster. If the cavities aren’t treated right away, the decay can move from the outer surface of the tooth right into the nerve canal. When a cavity spreads to the nerve, it can be very painful. Brushing removes the plaque from the front, back and tops of your teeth. To remove all the bacteria, you need to brush for at least two minutes twice a day. 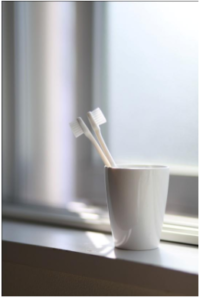 If you use a manual toothbrush, pick one that has soft bristles. The soft bristles will play out and clean under your gums and around your teeth. Many people prefer power toothbrushes. Most power brushes have a built-in two-minute timer. So all you have to do is turn the brush on and let it clean your teeth until the brush turns itself off. Flossing is important because it removes bacteria and food particles stuck between your teeth. Carefully ea-saw the floss between the teeth and gently guide it under the gums. Then pull the floss into a C-shape to remove the plaque along the sides of each tooth. Using a fluoride rinse or a prescription fluoride toothpaste can really help. The fluoride in the rinse or paste will be incorporated into the enamel of your teeth making your teeth more resistant to cavities. Children can benefit from fluoride drops or tablets if there is not enough fluoride in their diet. The fluoride is ingested and will strengthen developing teeth. Your dentist will examine your teeth twice a year for signs of cavities. Having small cavities treated right away can prevent more complicated and expensive care later. To prevent cavities, you must ensure that you are eating foods that are good for your teeth. Green leafy vegetables and fruits are amazing for your teeth. They contain vitamins and minerals that help in maintaining healthy teeth. Calcium-rich foods such as milk, cheese, and yogurt are also beneficial for your teeth. Avoid eating sugary foods that stick to your teeth such as candies and cakes because they will encourage the development of cavities. By following these tips, you can prevent cavities. You can consult a dentist for further details on dental care. If you are looking for a dentist, you can visit our website and have a look at our panel of dentists. 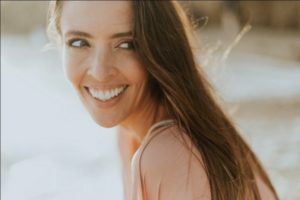 Teeth Whitening: What to Expect? Are you unhappy with the color of your teeth? Would you like to have a whiter, brighter smile? Then tooth whitening might be the answer for you! There are many ways to make your teeth look whiter. 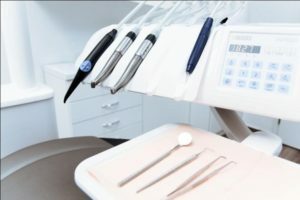 From over-the-counter products to professional tooth whitening, your dentist or hygienist can help you decide which procedure is right for you. Before looking at the ways of teeth whitening, you must first know what makes your teeth look yellow. Your tooth is made up of a substance called dentin which is yellow in color. The outer layer – the enamel covers the dentin and makes your tooth look white. With the passage of time, the enamel wears away and, the yellow color of dentin starts showing. Other factors such as consumption of tea, coffee, and sodas stain the enamel of your tooth. Smoking can also turn your teeth yellow. To prevent your teeth from turning yellow, you must follow proper oral hygiene. Regular brushing and flossing will help keep your teeth clean and free from plaque. If you already have stained teeth then, you need to get your teeth whitened. Here are some of the ways that will help you in brightening your smile. What Happens During A Dental Whitening Procedure? The first step of a dental whitening procedure is a thorough examination of the teeth and gums and a good dental cleaning. Once your teeth have been cleaned, and any necessary dental work is completed, you can start the process of whitening your teeth. The dentist or hygienist will check the shade of your teeth to determine which whitening process is right for you. Over-the-counter whitening toothpaste and mouthwashes are a great way to maintain a whiter, brighter smile. You can always start with these products to see if that helps. Whitening strips can also be bought over-the-counter. The strips, which are covered with a layer of hydrogen peroxide, adhere to your teeth. You usually wear them for several hours. Over time, they will lighten your teeth. However, they can sometimes be difficult to position and can be hard to speak with them on. Whitening strips work well when the teeth have only mild discoloration. On your first visit, your dentist will take a digital impression of your teeth and make a custom whitening tray for you. Your trays will be ready in a couple of weeks. At that appointment, your dentist will show you how to use whitening products. They may even show you a short video of the process. They will take a “before” shade of your teeth. You will whiten your teeth every night for 14 days. Then, you will go back to your dentist and they will take an “after” shade. If you want your teeth even whiter, you will come back for an in-office whitening session. Your dentist will take a “before” shade of your teeth. Then, they will prepare your mouth to apply the in-office whitening gel. You will have three 20-minute whitening applications on that visit. The total time you will be in the chair is 1 ½ to 2 hours. Then the dentist will take an “after” shade of your teeth. It is important to remember that once the whitening process has been completed, you will need to maintain your new whiter, brighter smile with the touch-up gel. Your dentist will explain all of that to you on this visit. If you need more information on this topic, you can visit our website. Fenton Family Dental offers the best teeth whitening services.